(L-R) are Jennifer Ziegler, Covey Crane Service; Raymond Ziegler, president, Covey Crane Service; and Katie Pharaoh, sales manager, Empire Crane Co. 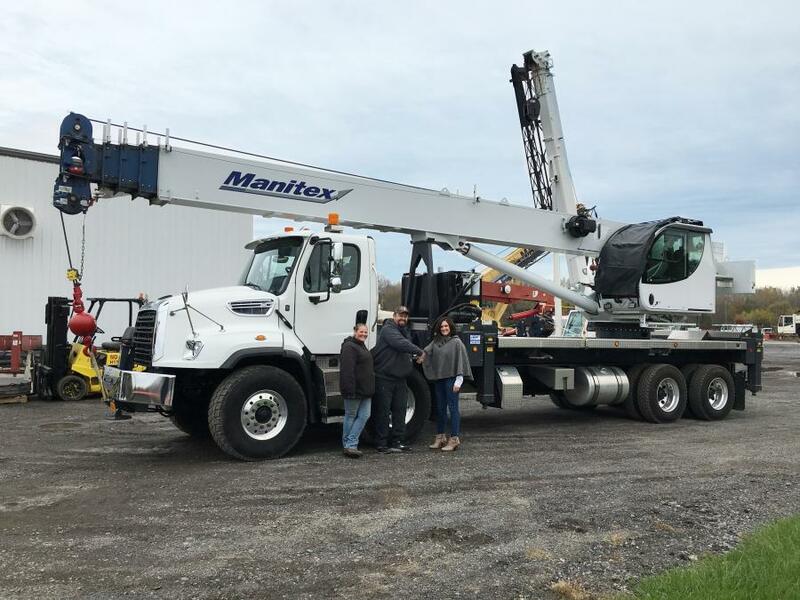 Covey Crane Service of Spencerport, N.Y., has just added a new Manitex TC45142C, 45-ton capacity boom truck to its fleet. Covey purchased it from local Manitex dealer Empire Crane Company, who has sold more than 25 Manitex boom trucks in 2018 alone. Raymond Ziegler, president of Covey Crane said "we chose to purchase a Manitex boom truck again, because of our great experience with the 40124SHL and Empire Crane." The Manitex TC450 series telescopic cranes are built to be versatile machines that can accomplish a variety of jobs that Ziegler or other owner operators may come across in their day to day work. The crane features a 142 ft. (43 m) boom, telematics, significant cab upgrades and a LMI system. "The twin steer, tandem axles, radio remote outrigger controls, and the fact that it's a Manitex, make it stand out to me" Ziegler said. The crane was first used to replace the HVAC system at the Penfield, N.Y., library. Covey Crane Service is a taxi crane company based out of Spencerport, N.Y., and operating in all upstate New York communities. Its fleet is fully made up of American-made equipment. It is fully insured, OSHA trained, NYS certified and focused on improving safety in their everyday operations. 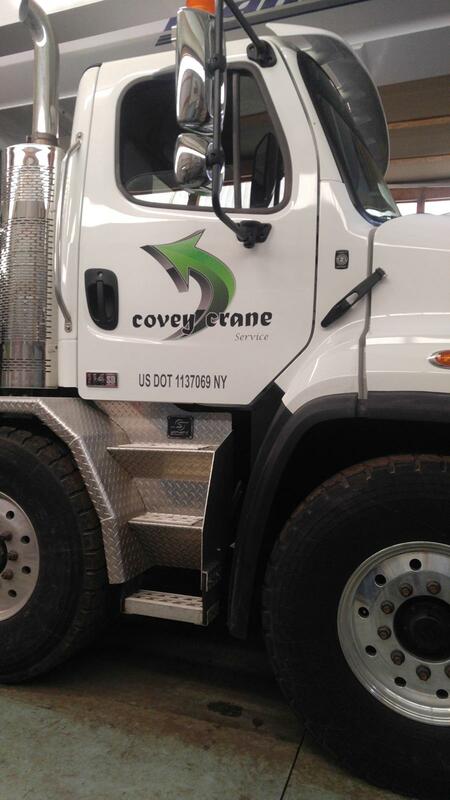 For more information, visit www.coveycraneservice.com. Empire Crane Company was founded by Paul & Luke Lonergan in 2002. It is an authorized dealer of Terex, Tadano Mantis, Kobelco crawler cranes, Shuttlelift carry deck cranes, Manitex boom trucks, Wolffkran tower cranes, and Magni telehandlers. Empire Crane offers sales, parts, and service at its offices in Syracuse, N.Y., Bridgewater, N.J., and Boston Mass. For more information, visit www.EmpireCrane.com.